Rabbi Yitzchak said, The Torah only needed to begin from “This month shall be for you” (Exodus 12:2), for it is the first commandment that was commanded to Israel. Why did He begin with Genesis? ויש לשאול בה, כי צורך גדול הוא להתחיל התורה בבראשית ברא אלהים, כי הוא שורש האמונה, ושאינו מאמין בזה וחושב שהעולם קדמון, הוא כופר בעיקר ואין לו תורה כלל! You can ask on this [medrash] that there is a great need for the Torah to begin with “In the beginning God created”, for this is the root of faith, and one who does not believe [in creation] and thinks that the world has always existed denies an essential principle and has no Torah at all! And the answer is that maaseh Breishis – the act of Creation – is a deep secret that can not be understood from the verses, and which can only be known clearly through the kabbala – traditional knowledge – received through Moses from the mouth of God, and those who know it are obligated to hide it. 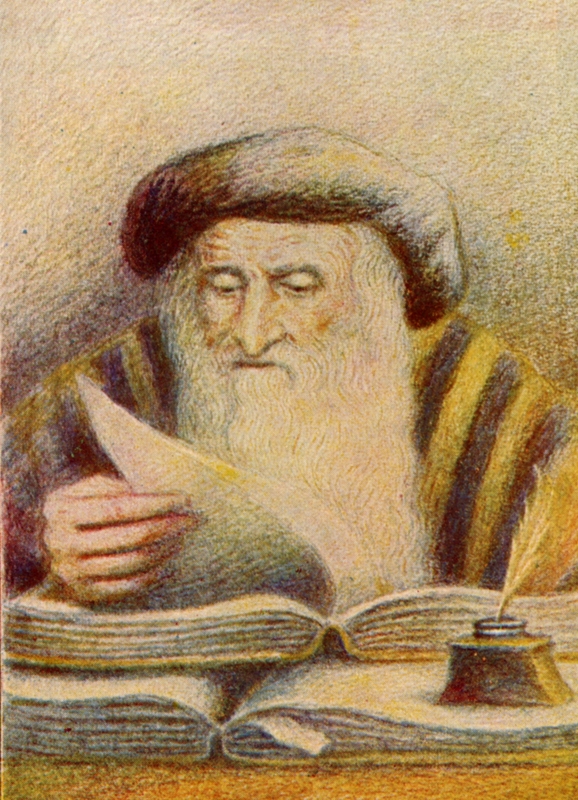 Therefore, Rabbi Yitzchak said that there was no need to for the Torah to begin with “In the beginning God created”, [followed by] the story of what was created on the first day, and what was made on the second day and the other days, and the lengthy account of the creation of Adam and Eve and their sin and punishment, and the story of the Garden of Eden and the expulsion of Adam from it. For all of this [material] can not be fully understood from the Scripture. And this is certainly true of the accounts of the generation of the Flood and the generation of the Dispersal (i.e. the story of the Tower of Babel), which are, in any case, not of as great a [theological] necessity [to know]. It would have been sufficient for the people of the Torah without these verses, and they would believe in the general concept as it is mentioned in the Ten Commandments (Exodus 20:11), “For six days God made the heavens and the earth, the sea and all that is in them, and He rested on the seventh day.” The remaining knowledge could be left for the [exceptional] individuals as a “law to Moses at Sinai” with the Oral Torah. Even before we get to the answer, we learn from this medrash an important basic principle for studying the Torah. The function of the Torah is to provide instruction. This is primarily expressed in the commandments, but it applies equally to the narratives found in the Torah. There are no stories in the Torah simply for their own sake. Every bit of information provided by the Torah is intended to convey a practical lesson relevant to us. If we fail to see what that lesson is, then we have not yet properly studied the material, for if there were no relevant lesson then the material would not have been included. Thus, the medrash asks why the narrative of creation – indeed, the entire book of Genesis (and even the first eleven chapters of Exodus) – is included in the Torah. What practical lessons can we learn from these narratives that justifies their inclusion? And Rabbi Yitzchak gave a reason for this (i.e. the inclusion of the narrative of Genesis). For the Torah begins with “In the beginning, God created” and tells over the entire account of creation until the creation of Adam, and that He gave [Adam] dominion over His handiwork and placed everything beneath his feet, and the Garden of Eden – the choicest of all the locations created in this world – was made into his dwelling place, until his sin expelled him from there. And the people of the Generation of the Flood were expelled from the world entirely due to their sins, and only the righteous one among them survived with his children. And their descendants were caused, due to their sin, to be scattered to different locations and dispersed to different lands, and each grasped onto various locations according to their families and their nations, according to their opportunities. The Ramban here develops the idea that the basic primary message of the narratives of Creation, the sin of Adam and Eve and their expulsion from the Garden of Eden, the story of the Flood and Noah’s Ark, and the story of the Tower of Babel is that what we have in this world is dependent on our merit before God. Thus, Adam was given the Garden of Eden, but lost it when he sinned. The generation of the Flood sinned, and they were eliminated and only the family of the righteous Noah survived. The generation of the Tower of Babel sinned, and were dispersed all over the world. As it is written (Psalms 105:44-45), “He gave them the lands of nations, and they inherited the labor of peoples, in order that they should guard His decrees and keep His teachings.” This is to say, that He expelled from there those who rebelled against Him, and He set His worshippers to dwell there, so that [His worshippers] should know that they inherited the land through His service, and if they sin against Him, the land would expel them, as it expelled the nation that preceded them. The purpose of these narratives is therefore to teach us that our welfare in this world, and in particular, our claim to the land of Israel, is contingent on our obedience to the will of God. If we obey His commandments, then we will dwell safely in the land, but if we sin we will be driven out. It is to develop this fundamental theme that we have the book of Genesis, which first describes how this principle has functioned since the time of creation, and then describes how the Jewish people arose from our righteous ancestors to merit receiving the land of Israel. The Jewish people are not a genetic super-race that has a special right to conquer the lands of other nations. The Jewish people are chosen by God as His servants – a “kingdom of priests”, and it is only as His servants that we have any claim to the land of Israel. And it shall be, if you will listen well to My commandments which I command you this day, to love Hashem your God, and to serve Him with all your heart and with all your soul, then I will give the rain of your land in its season, the early and the late rains, and you will gather in your grain, and your wine, and your oil. And I will give grass in your fields for your cattle, and you will eat and be satisfied. Guard yourselves, lest your heart be seduced, and you turn aside and serve other gods and bow down to them; and the anger of Hashem will burn against you, and He will shut up the heaven, so that there will be no rain, and the ground will not yield her produce; and you will be lost quickly from upon the good land that Hashem gives you. Thank you for the interesting page and especially the excellent translation of Ramban - of which I have made use.